Peppa loves her family and now you can too! Get the whole set with the Peppa Pig Family Pack! 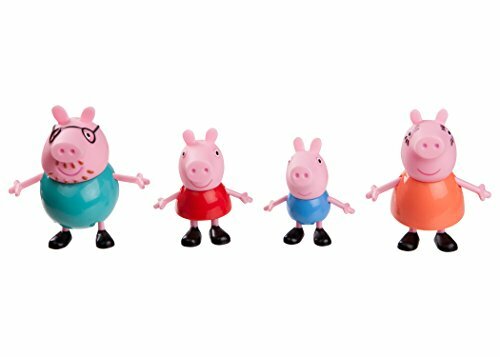 This pack includes Peppa, her little brother George, and of course Mummy and Daddy Pig. The figures are poseable for realistic play. It's always a fun time with Peppa Pig! Play in the mud, oink, and hang with Peppa & her family! Get the whole set with the Peppa Pig Family Pack!